Cene Fiser, Andrej Blejec and Peter Trontelj of Ljubljana University in Slovenia have approached the community of plants and animals that builds in a natural habitat from a novel direction. Using caves as isolated, extreme habitats for a community, they worked out whether the organism's niche acts as a mechanism to keep the community operating in an ecosystem. As a contrast, they also looked the tiny creatures that live in groundwater spaces(interstitial groundwater). 9 cave communities were studied (with between three and nine shrimp species,) and 7 interstitial communities (of three to six shrimp species) were compared to these. Publication is in the Royal Society journal Biology Letters, today. Species richness obviously helps to maintain a community. Through additional food organisms or varied predator prey relationships, food webs can be built up. The differences in use of resources is said to cause "negative interactions" within a species rather than interactions such as interspecific competition. The cave environment should theoretically accumulate convergent adaptations to the temperature, light and humidity( and many other factors). Competition between species, on the other hand, may be lower while dispersal and recruitment is also reduced., causing mathematical models to predict species to evolve that are "ecologically equivalent." Creatures such as blind cave fish, salamanders or bats (which "cop out" by flying in their nutrition from other habitats) are most commonly used to exemplify cave species, but much smaller creatures make up the bulk of the permanent inhabitants. With no primary producers, and few predators, the community is supposed to be old, with many endemic species, possibly co-existing on the meagre food resources. The many species of the subterranean crustacean, Niphargus were taken as an ideal group for analysis. 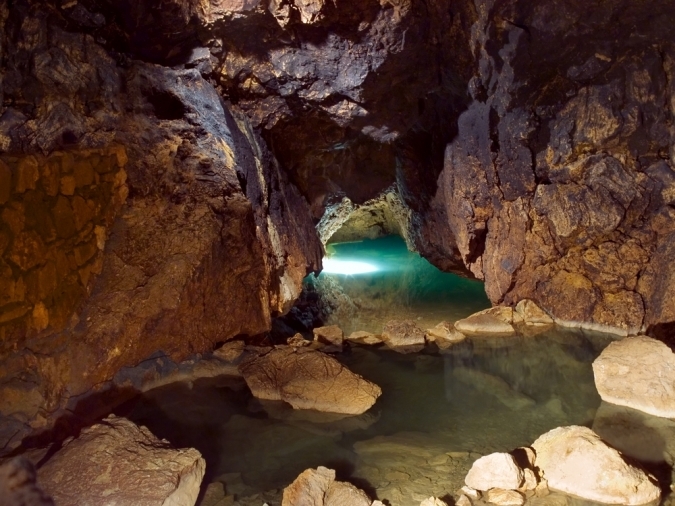 It's diverse and up to 9 species occur in many caves, Europe-wide. The Niphargus "shrimp" genus is white and eyeless, with large bodies and long limbs. In interstitial groundwater, their size is naturally limited. Results showed that local communities showed great differences in shape of antennae and limbs. While surprising, the nature of caves and subterranean habitats is that they change suddenly when flooded or collapse takes place. Although hard to observe, the niches of these animals could be as diverse as their adaptations. Some theories advocate additional dimensions within a niche that are hidden. Certainly, the niches here are very different and we could be dealing with evolution at its most fascinating if we could penetrate the subterranean worlds. The existence of neutral mechanisms, randomly selecting certain traits is a possible explanation of "clumps" of similar species in other communities. None were observed in this study, but North American amphipods have produced evidence of neutral mechanisms operating. It seems however that there is strong evidence of niche-based mechanisms causing animals to evolve "into" a habitat and persist there whatever cataclysm besets their hidden world. The age of communities could mean that there has been ample time for many adaptations to have developed, just as it seems in these few species.